Russell Brand grew up in Essex. His father left when he was three months old, he was bulimic at 12 and left school at 16 to study at the Italia Conti stage school. There, he began drinking heavily and taking drugs. He regularly visited prostitutes in Soho, began cutting himself, took drugs on stage during his stand-up shows, and even set himself on fire while on crack cocaine. He has been arrested 11 times and fired from 3 different jobs - including from XFM and MTV - and he claims to have slept with over 2,000 women. In 2003 Russell was told that he would be in prison, in a mental hospital or dead within six months unless he went in to rehab. He has now been clean for three years. In 2006 his presenting career took off, and he hosted the NME awards as well as his own MTV show, 1 Leicester Square, plus Big Brother's Big Mouth on Channel 4. His UK stand-up tour was sold out and his BBC Radio 6 show became a cult phenomenon, the second most popular podcast of the year after Ricky Gervais. He was awarded Time Out's Stand Up Comedian of the Year and won Best Newcomer at the British Comedy Awards. In 2007 Russell hosted both the Brit Awards and Comic Relief, and continued to front Big Brother's Big Mouth. His BBC2 radio podcast became the UK's most popular. Russell writes a weekly football column in the Guardian and is the patron of Focus 12, a charity helping people with alcohol and substance misuse. He also hosts a podcast, Under the Skin, in which he delves below the surface of modern society. 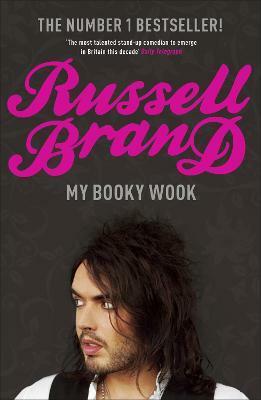 Russell Brand is a comedian, journalist, TV and radio presenter and actor. He has won numerous awards including Time Out`s Comedian of the Year, Best Newcomer at the British Comedy Awards, Best TV Performer at the Broadcasting Press Guild Awards, Most Stylish Man at GQ`s Men of the Year Awards and the Sun`s Shagger of the Year. In March 2017 he started Under the Skin, a podcast in which Brand asks 'what's beneath the surface - of people we admire, of the ideas that define our time, of the history we are told'. The Financial Times described Under the Skin as 'refreshingly calm and thoughtful' and 'a great show'.